Our comprehensive offering of Sputtering Targets, Evaporation Sources and other Deposition. 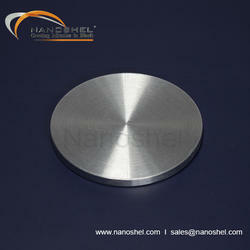 Backed by our rich industrial expertise, we have come up with Aluminium Sputtering Targetsfor our valuable customers. Formulated under hygienic conditions and thoroughly tested, this is highly regarded in the market. It finds application as catalysts, energy conserving coatings, anti-static coatings, etc. It is a white colored powder of optimum purity. We offer tin oxide nanopowder at standard market prices. 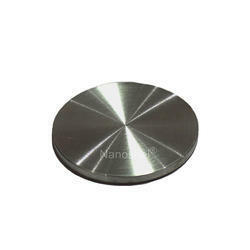 Backed by our rich industrial expertise, we have come up with Alloy Sputtering Targets for our valuable customers. Formulated under hygienic conditions and thoroughly tested, this is highly regarded in the market. It finds application as catalysts, energy conserving coatings, anti-static coatings, etc. It is a white colored powder of optimum purity. We offer tin oxide nanopowder at standard market prices. Looking for Sputtering Targets ?